The authorities of Central Asia increasingly use concerns about security and stability as a pretext to curtail fundamental rights and liberties and clamp down on civil society. 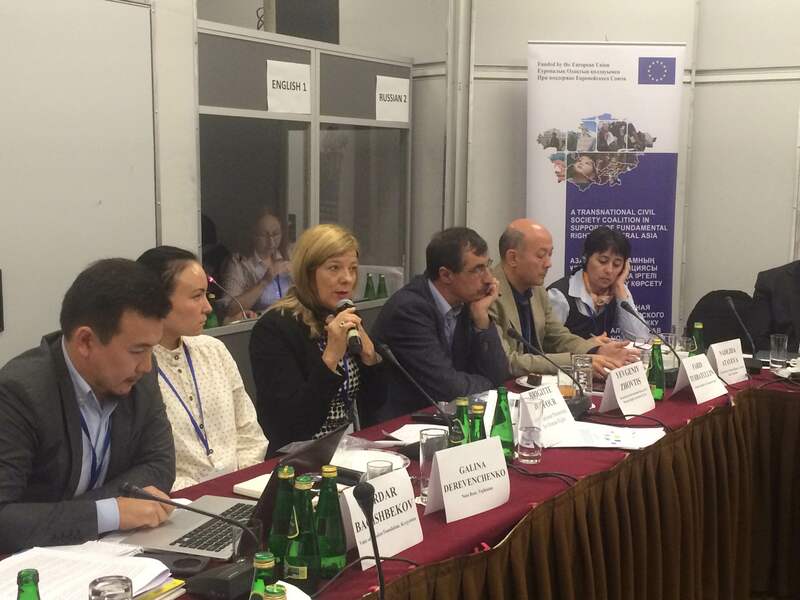 On 23 September 2015, International Partnership for Human Rights (IPHR) and partner organizations organized a well-attended side-event at the OSCE Human Dimension Implementation Meeting in Warsaw to discuss and highlight this alarming trend. Speakers included Yevgeniy Zhovtis (Kazakhstan International Bureau for Human Rights and Rule of Law), Farid Tuhbatullin (Turkmen Initiative for Human Rights), Galina Derevenchenko (Nota Bene, Tajikistan), Nadeja Atayeva (Association for Human Rights in Central Asia, Uzbekistan) and Sardar Bagishbekov (Voice of Freedom Foundation, Kyrgyzstan). IPHR’s Brigitte Dufour served as moderator. 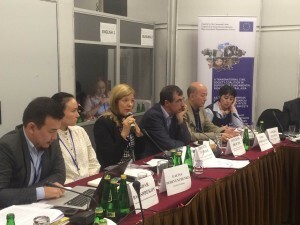 The Warsaw briefing was organized in the framework of a project implemented jointly by Kazakhstan International Bureau for Human Rights and Rule of Law, Nota Bene, the Turkmen Initiative for Human Rights and International Partnership for Human Rights with support of the European Union. See also our joint statement for the OSCE HDIM, A matter of regional concern: Shrinking civil society space in Central Asia. Next articleWarsaw protest: Release political prisoners in Azerbaijan!